So this was my first time visiting Salem, which is a surprise given my love for Halloween and all things fantasy. This certainly won't be my last trip either! I loved touring the area for Keri and Jason's Salem Engagement session! 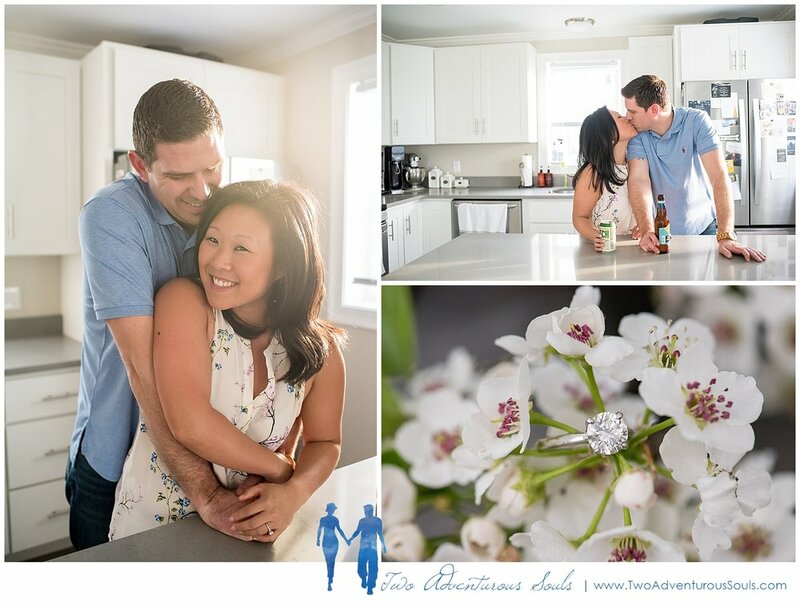 These two are utterly adorable and I can't wait for their September wedding at The Samoset Resort! 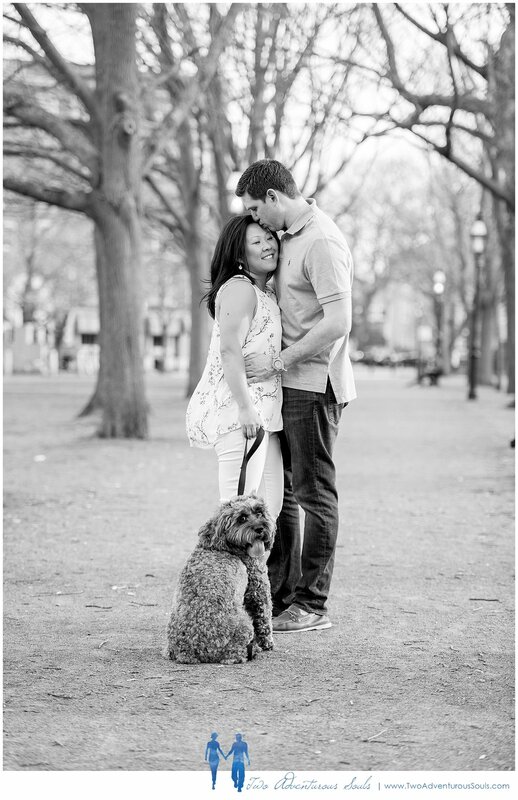 For the first part of the session we set out to their favorite park with their pup, Cabot, in tow. I'm in love with the park by their house! Such a beautiful gazebo and walking paths and benches! There's even a few fun witch museums around the outskirts. Definitely a stop next time I'm in town! After the park we headed back to their home so they could change and get some candids around the house they share. Cabot was getting all the loves with a couch cuddle session! And that light coming in Keri and Jason's kitchen window? Dreamy!! To finish up their Salem engagement session we headed downtown to the historical buildings with all the brick and twinkle lights and over to the waterfront. Mother Nature put on a beautiful color coordinated sunset for them! Here's hoping she is on point in September for their wedding! Brittany and Dean are creative Salem MA Wedding Photographers who love having fun with our wedding couples. We work together and separately to capture every emotion and angle on your wedding day. Two Adventurous Soul’s storytelling style will capture your wedding both in candid and naturally posed images. Whether you’re planning a Salem Engagement Session, Maine Wedding, Costa Rica Wedding or anywhere in New England we will be there for you! For more info please contact us about your wedding photography!